Sometimes the mountain peak is clearer from the valley than from the summit. It may be easier to understand the changes in China’s currency regime if we take a step away and try to look at the big picture. To find our path we need to clear away some undergrowth that is distracting us from rigorous analysis. With China’s economy slowing and exports weak, a devaluation could be a way to restore economic vigor. Many accounts in the western financial press tried placing the depreciation of the yuan in this context, but it is mistaken. Consider Japan’s experience. The dollar has appreciated by more than 50% against the yen over the last three years. What has happened to the volume of Japanese exports? Very little. The same can be said for Canadian and Australian exports, for example, who have experienced significant currency declines without a corresponding rise in exports. China is gradually climbing the value-added chain in manufacturing, but yuan-incurred costs remain modest compared with other large economies. That means that China’s exports will likely be considerably less sensitive the yuan’s fluctuations than Japan. The 3%-4% depreciation of the yuan is unlikely to have a tangible impact on China’s exports. Owing to China’s previous export-oriented development strategy, the frequent reliance on state action, and a heavily managed currency, many observers conclude mercantilism is the driver. This is exactly backwards. China’s currency machinations are designed to increase the internationalization of the yuan. Specifically, China’s actions are understandable only within the context of its push to join the IMF’s Special Drawing Rights (SDR). There are two formal requirements for joining the SDR: being a larger exporter and having a currency that is freely accessible. The former has not been an issue for years. China is the world’s largest exporter. It is the accessibility of the yuan that has been the stumbling block. However, over the past few years, China has improved the accessibility of the yuan. There have been numerous measures, including more than two dozen swap lines with foreign central banks, the development of offshore yuan trading centers, the Hong Kong-Shanghai link, and the abolition of quotas for foreign central banks and sovereign wealth funds investing in mainland bonds. This is not meant to be an exhaustive list, but simply cited to give a sense of the sustained campaign that China has undertaken. In addition to these formal objectives, there are some operational requirements. The SDR is fixed every day. The participating central banks give the fix of their currency to the IMF. The fix needs to be a market price. Before August 11, the fix was not a market price and had a seemingly little relationship with the spot market. The PBOC’s measures were aimed at closing the gap between spot and the fix. However, closing the gap between the fix and the spot market created another operational challenge. The offshore yuan diverged with the onshore yuan. This is a barrier to SDR entry because the gap between the two meant that the offshore yuan was not an effective hedging tool. It is important that if central banks are to hold yuan-denominated bonds, they need a deep hedging market. With official indications suggesting a high probability of the yuan joining the SDR, two questions arise. The first is operational. The currencies in the SDR are assigned a weight based on its trade and reserve status. Given China’s export prowess, it suggests the yuan should be a major currency in the SDR. However, as a reserve asset, it is very small. The IMF estimates the yuan’s share of reserves at a minuscule 1.1%. Entry into the SDR is a sufficient victory for China that if it is assigned a low weight now, that would be acceptable. 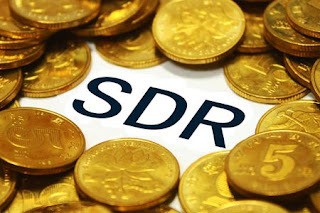 The SDR currency weightings are reviewed every five years, and continued evolution of the yuan may see it get increased weight in the future. The second question that arises if we assume the yuan’s entry into the SDR is so what? What does it mean? The direct and indirect economic consequences are minor at best. On the margins, it may encourage some central banks to have yuan in reserves but officials move at glacial speeds. With low interest rates, a currency that is not simply appreciating as it did for several years, and liquidity issues, maybe this is the not the best time for foreign central banks to shift reserves into yuan, even if it is easier. Being a member of the SDR has not fostered strong use of the yen or sterling as a reserve currency. The Australian and Canadian dollars have achieved reserve currency status without being part of the SDR. The US dollar has the largest weight in the SDR, and yet the US pays a premium over nearly every eurozone country and Japan. The “exorbitant privilege” that is often attributed to reserve currency may be exaggerated. If that is true, it begs another question: Why should joining the SDR be such an important goal for China? It seems an issue of status and prestige mostly. This is not a judgment. It is a description. It seems clear that there may be a tendency in China to feel mistreated at the hands of the US (and other high income countries) and has not gotten the respect it believes it deserves. It has been blocked, for example, of getting a higher voting share at the IMF because the US Congress has failed to authorize funding. The TPP agreement appears to be written in such a way that it may preclude China for many years. Joining the SDR is a sign of recognition of the incredible progress China achieved in opening up its markets, and internationalizing the use of the yuan. The international goal as helped focus China’s financial reform efforts, in a similar way that joining the World Trade Organization in 2001 facilitated earlier reforms. It is an unequivocal acknowledgement that China is among the great financial powers.